When the animal shelter Brandon volunteers at is too full to take a litter of abandoned puppies, Nikki decides to look after them until the shelter has more room. Simple. There's only one slight problem..., her parents won't allow dogs in the house so Nikki has to hide them at home and take them to school in secret. But with seven puppies to hide, things are going to get messy... Is Nikki's plan going to end in a pawfully dorky disaster? 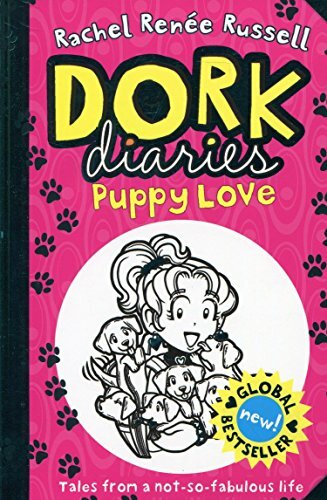 The brand NEW instalment from the internationally bestselling DORK DIARIES series, from Rachel Renee Russell, author of The Misadventures of Max Crumbly (June 2016)., Perfect for fans of Wimpy Kid, Tom Gates, Jacqueline Wilson and James Patterson.